I take home leftover whipped cream from the creamery. 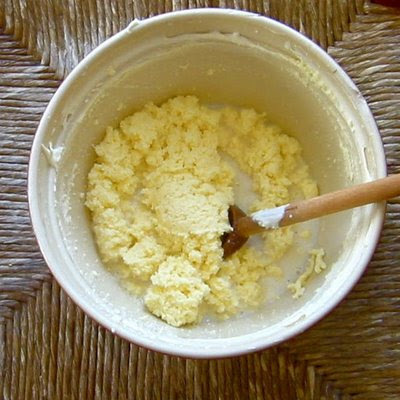 I culture it with some yogurt for a while, and it becomes a lovely mousse-like cheesecake-flavored fluff. I beat the fluff until the fat breaks. It turns grainy, and golden specks of butter appear in the translucent buttermilk. Like stars appearing at twilight. The stars start clumping -- just like those nights H. Rose and I spread our cloaks over the dew in the cow pasture and watched the Milky Way congeal. Oh yes, and then the butter rises and it's last night's moon all over again. I knead the butter under running water, cleaning out any trapped pockets of buttermilk. I save the majority of the buttermilk for baking. It contains the sugar and vanilla that were used to flavor the whipped cream. Sweet as a newborn babe, that nugget! I kneaded in a pinch of sel gris and gave it a kiss. Does anyone know of a local dairy goddess? Is she still accepting acolytes? Oh, it's delicious! 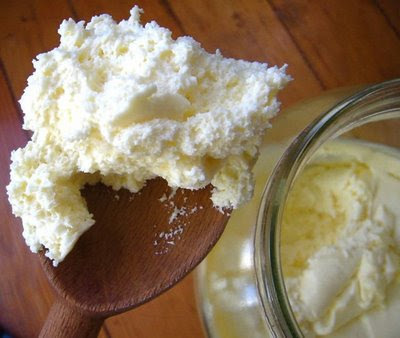 Cultured butter doesn't taste sour at all -- just more densely buttery. It's the same thing that you might find labeled "European-style" in a grocery store. Homemade yogurt works perfectly. 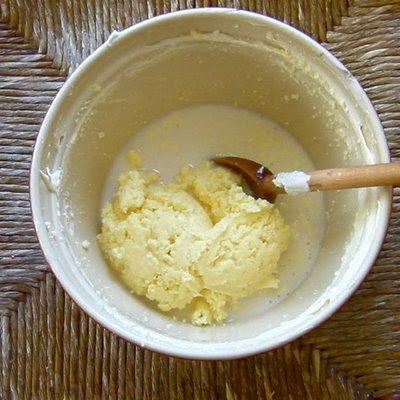 You can use any sour culture -- cultured buttermilk, kefir, sour cream (the real kind), creme fraiche, etc.... For that matter, you could even just let it sit out long enough to sour a bit on its own -- the results would be less controlled, but probably just as delicious. OH MY! YOU are the dairy goddess. Just reading that got me dizzy. We birds of a feather, I'm making number two cheddar right now. But I also bought some raw unpasteurized butter and tasted it just now, and I could not believe it. So rich it was almost nauseating. Regular butter has absolutely no flavor whatsoever by comparison. This smells more like slightly sour cheese. Organic Pastures in Fresno makes it. I think I'm going to have to make a pastry crust with it. Shoot me now! 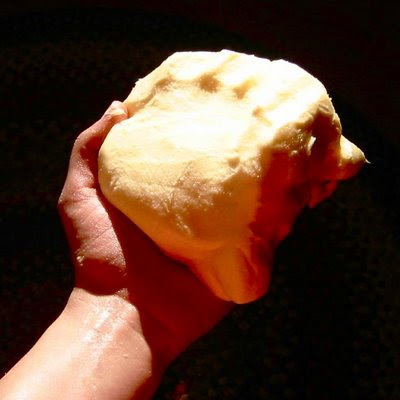 I love making cultured butter at home. My friends are always so impressed until... of course... they discover how easy it is to do!